𝕂𝕒𝕥𝕚𝕖 & 𝔹𝕖𝕣𝕥𝕚𝕖 𝔸𝕥 𝕋𝕙𝕖 𝔽𝕠𝕦𝕣 𝕋𝕨𝕖𝕝𝕧𝕖 – "𝔻𝕠𝕚𝕟' 𝕠𝕦𝕣 𝕥𝕙𝕚𝕟𝕘!" 𝔻𝕠𝕟’𝕥 𝔹𝕖 𝕊𝕠 𝕄𝕖𝕒𝕟, 𝕀𝕥’𝕤 𝕃𝕦𝕔𝕜𝕪 𝕋𝕙𝕚𝕣𝕥𝕖𝕖𝕟! 𝕐𝕠𝕦 𝕘𝕦𝕖𝕤𝕤𝕖𝕕 𝕚𝕥. 𝕀𝕥’𝕤 𝔼𝕡 𝟙𝟛! 𝕋𝕙𝕚𝕤 𝕖𝕩𝕡𝕖𝕣𝕚𝕖𝕟𝕔𝕖 𝕙𝕒𝕤 𝕓𝕖𝕖𝕟 𝕒𝕟 𝕒𝕓𝕤𝕠𝕝𝕦𝕥𝕖 𝕕𝕣𝕖𝕒𝕞. 𝕃𝕦𝕧 𝕪𝕠𝕦 𝕒𝕝𝕝, 𝕒𝕟𝕕 𝕙𝕠𝕡𝕖 𝕪𝕠𝕦 𝕝𝕚𝕜𝕖 𝕨𝕙𝕒𝕥 𝕨𝕖 𝕤𝕥𝕣𝕖𝕒𝕞. Author katieandbertieatthefourtwelvePosted on 17/04/2019 Leave a comment on 𝔻𝕠𝕟’𝕥 𝔹𝕖 𝕊𝕠 𝕄𝕖𝕒𝕟, 𝕀𝕥’𝕤 𝕃𝕦𝕔𝕜𝕪 𝕋𝕙𝕚𝕣𝕥𝕖𝕖𝕟! 𝔾𝕝𝕒𝕞 𝔾𝕝𝕒𝕞 𝕀 𝔻𝕠𝕟𝕥 𝔾𝕚𝕧𝕖 𝔸 𝔻𝕒𝕞𝕟!!! 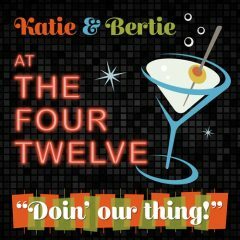 Author katieandbertieatthefourtwelvePosted on 10/04/2019 Leave a comment on 𝔾𝕝𝕒𝕞 𝔾𝕝𝕒𝕞 𝕀 𝔻𝕠𝕟𝕥 𝔾𝕚𝕧𝕖 𝔸 𝔻𝕒𝕞𝕟!!! ℍ𝕖𝕪 𝕊𝕦𝕟𝕕𝕒𝕪 . . . 𝕎𝕒𝕚𝕥, 𝕀 𝕄𝕖𝕒𝕟 𝔽𝕦𝕟𝕕𝕒𝕪! 𝘌𝘷𝘦𝘳𝘺𝘵𝘩𝘪𝘯𝘨 𝘺𝘰𝘶 𝘯𝘦𝘦𝘥 𝘵𝘰 𝘬𝘯𝘰𝘸 𝘢𝘣𝘰𝘶𝘵 𝘚𝘶𝘯𝘥𝘢𝘺𝘴 𝘢𝘯𝘥 𝘮𝘢𝘬𝘪𝘯𝘨 𝘪𝘵 𝘢 𝘧𝘶𝘯 𝘥𝘢𝘺, 𝘈𝘕𝘋 𝘩𝘰𝘸 𝘵𝘰 𝘴𝘮𝘰𝘰𝘵𝘩𝘭𝘺 𝘵𝘳𝘢𝘯𝘴𝘪𝘵𝘪𝘰𝘯 𝘪𝘯𝘵𝘰 𝘔𝘰𝘯𝘥𝘢𝘺 . . . 𝘒𝘢𝘵𝘪𝘦 𝘢𝘯𝘥 𝘉𝘦𝘳𝘵𝘪𝘦 𝘎𝘖𝘛 𝘠𝘈! Author katieandbertieatthefourtwelvePosted on 03/04/2019 03/04/2019 Leave a comment on ℍ𝕖𝕪 𝕊𝕦𝕟𝕕𝕒𝕪 . . . 𝕎𝕒𝕚𝕥, 𝕀 𝕄𝕖𝕒𝕟 𝔽𝕦𝕟𝕕𝕒𝕪! ℍ𝕖𝕪 𝕊𝕖𝕝𝕗 ℂ𝕒𝕣𝕖, 𝔻𝕒𝕞𝕟! 𝕐𝕠𝕦 𝕃𝕠𝕠𝕜 𝔾𝕠𝕠𝕕 𝕆𝕟 𝕄𝔼 ! Author katieandbertieatthefourtwelvePosted on 27/03/2019 Leave a comment on ℍ𝕖𝕪 𝕊𝕖𝕝𝕗 ℂ𝕒𝕣𝕖, 𝔻𝕒𝕞𝕟! 𝕐𝕠𝕦 𝕃𝕠𝕠𝕜 𝔾𝕠𝕠𝕕 𝕆𝕟 𝕄𝔼 ! Author katieandbertieatthefourtwelvePosted on 20/03/2019 20/03/2019 Leave a comment on ℍ𝕖𝕪, 𝔽𝕣𝕖𝕒𝕜𝕪 𝔽𝕣𝕚𝕕𝕒𝕪! Answers the ? Why wasn’t an episode published last week? What happens in Vegas . . . Author katieandbertieatthefourtwelvePosted on 20/03/2019 Leave a comment on ℍ𝕖𝕪, 𝕃𝕒𝕤 𝕍𝕖𝕘𝕒𝕤! Just skimming the surface of what it takes to live and die in L.A. Author katieandbertieatthefourtwelvePosted on 06/03/2019 06/03/2019 Leave a comment on ℍ𝕖𝕪, 𝔼𝕞𝕚𝕝𝕪 𝔽𝕚𝕘! ℍ𝕖𝕪 . . . 𝕊𝕠 𝕋𝕙𝕖𝕣𝕖’𝕤 ℕ𝕠 𝔼ℙ𝕀𝕊𝕆𝔻𝔼 𝟞. Author katieandbertieatthefourtwelvePosted on 27/02/2019 Leave a comment on ℍ𝕖𝕪 . . . 𝕊𝕠 𝕋𝕙𝕖𝕣𝕖’𝕤 ℕ𝕠 𝔼ℙ𝕀𝕊𝕆𝔻𝔼 𝟞. ℍ𝕖𝕪! 𝕊𝕠𝕣𝕣𝕪? ℕ𝕠𝕥 𝕊𝕠𝕣𝕣𝕪 . . .
ᔕO Iᑎ TᕼIᔕ EᑭIᔕOᗪE, KᗩTIE & ᗷEᖇTIE ᒪET IT ᗩᒪᒪ ᕼᗩᑎG OᑌT . . . ᗯᗩIT! ᑎOT ᖇEᗩᒪᒪY. ᗯE ᒪET YOᑌ Iᑎ Oᑎ ᖇᗩᑎᗪOᗰ ᑕOᑎᐯOᔕ ᗯE ᕼᗩᐯE Oᑎ TᕼE ᗪᗩIᒪY. Author katieandbertieatthefourtwelvePosted on 22/02/2019 Leave a comment on ℍ𝕖𝕪! 𝕊𝕠𝕣𝕣𝕪? ℕ𝕠𝕥 𝕊𝕠𝕣𝕣𝕪 . . .
ℍ𝕖𝕪, 𝕊𝕒𝕧𝕖 𝕋𝕙𝕖 𝔻𝕣𝕒𝕞𝕒 𝔽𝕠𝕣 𝕐𝕒 𝕄𝕒𝕞𝕒. Author katieandbertieatthefourtwelvePosted on 06/02/2019 Leave a comment on ℍ𝕖𝕪, 𝕊𝕒𝕧𝕖 𝕋𝕙𝕖 𝔻𝕣𝕒𝕞𝕒 𝔽𝕠𝕣 𝕐𝕒 𝕄𝕒𝕞𝕒.